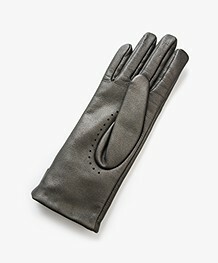 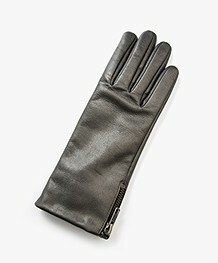 Beautiful supple, soft leather gloves from Filippa K in a grey hue with a matt metallic finish. 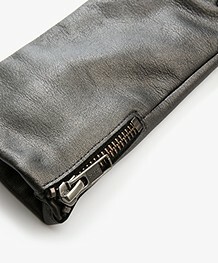 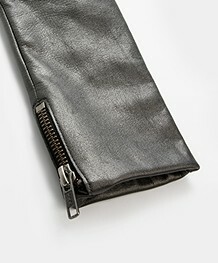 Made from an ultra-soft and pure lamb nappa leather and finished with a silver colored zipper. 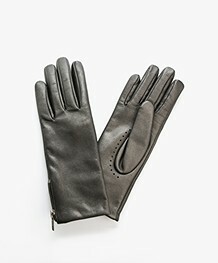 The warm wool lining gives a comfortable fit.